Two creative projects produced by CMBell Company have received awards from the 11th Annual Service Industry Advertising Awards competition. A merit award was given to the 9 Myths Video produced with the National Association of Independent Colleges and Universities. This video refutes nine myths associated with private nonprofit higher education. 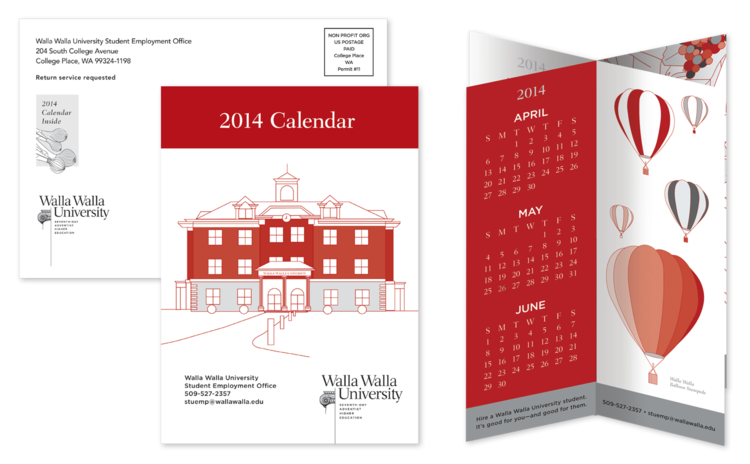 A merit award was also given for Walla Walla University’s 2014 Student Employment Calendar—a piece sent to employers to promote hiring university students. Approximately 1,700 entries were received in this year’s competition which was judged by a national panel of experts. The entries were judged on creativity, quality, message effectiveness, consumer appeal, graphic design and overall impact. CMBell Company, now in their 17th year of business, is a local communications, branding and marketing firm led by President DeLona Lang Bell.